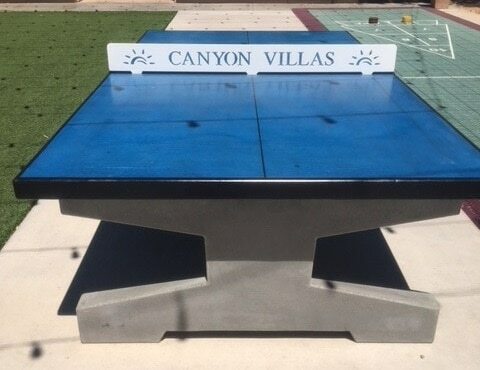 This is what started it all here at BOP (Bravado Outdoor Products), the Uptown Table Tennis Table has transformed into what it is today over the last 8 years. The robust design of the Uptown Table makes it a great addition to any outdoor area. 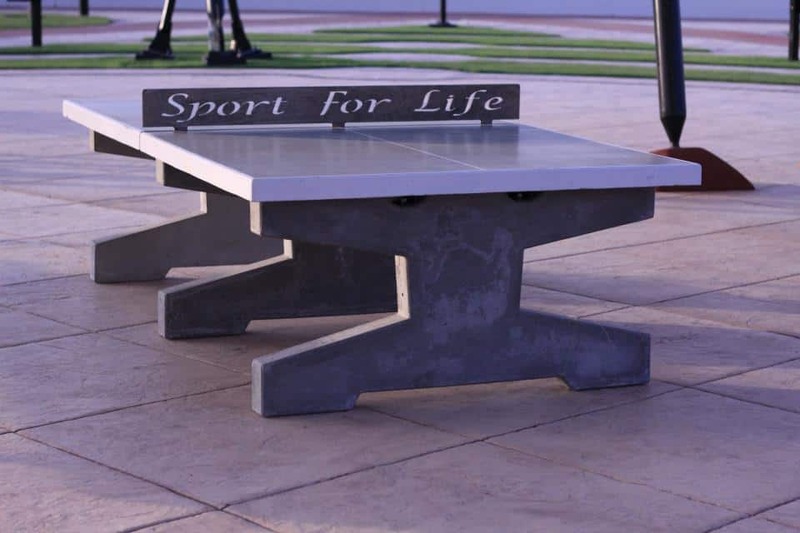 The Uptown Model is our most popular product, and a great way to add Permanent Outdoor Ping Pong to your outdoor area. Every Uptown Table is customized to order. Choose from a variety of options including the color for tops and legs, the net design and color, and even designs on the table surface. Parks, schools, homeowners, military, condo’s, hotels, resorts and businesses. 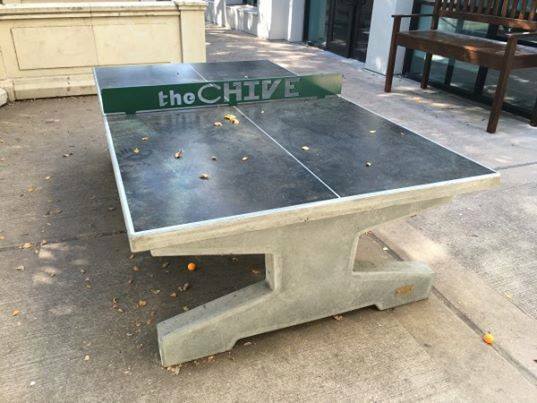 Being able to play ping pong outdoors helps bring people together and increase interaction amongst the community. 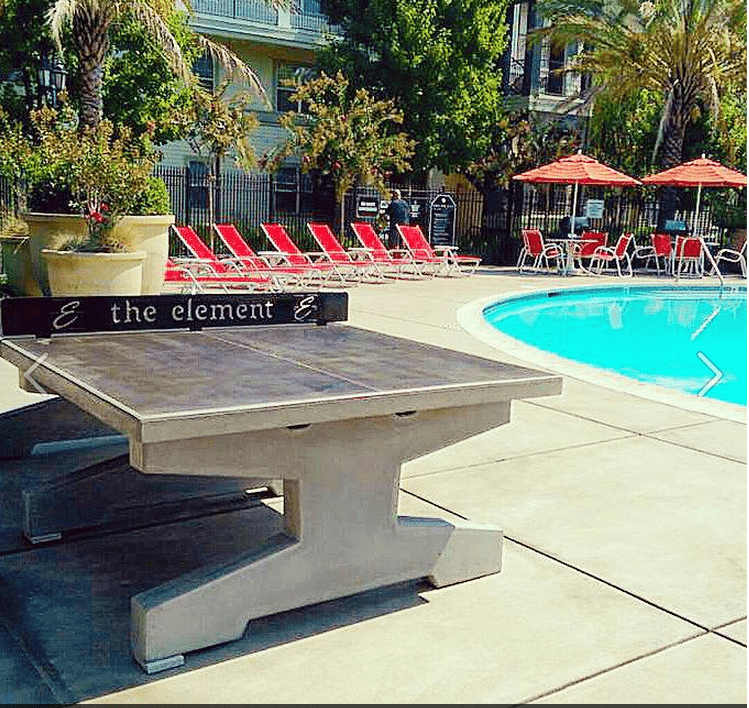 Our permanent outdoor tables are a great addition to any backyard bbq or pool area.